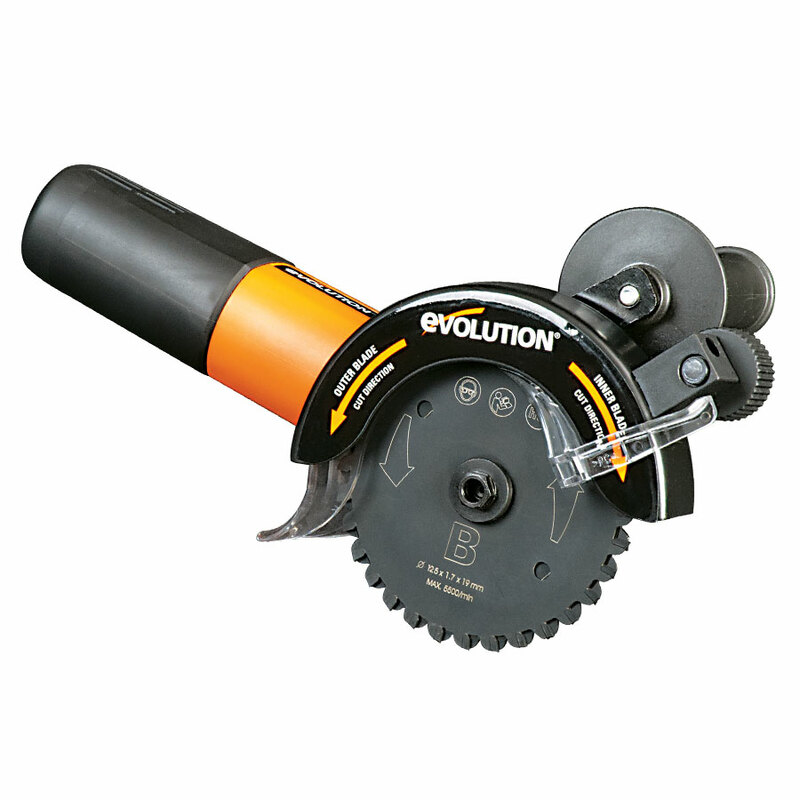 Utilising an innovative double blade system, the compact RAGETWIN125® 125mm will cut just about anything; Steel, Aluminium, Wood (even wood with nails) and Plastic! Perfect for plunge cuts & work in tight, hard-to-reach areas; ideal for use on laminate flooring. 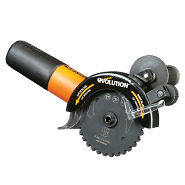 Supplied with 2 x 125mm TCT Multipurpose Blades, Side Handle, Wrench & Manual. The two TCT Multipurpose Blades spin in opposite directions to counteract one another. This greatly reduces machine kick-back and vibration, so it's reassuring to operate for any professional. Other features include an auxiliary side handle, making it easy to direct into position and the RAGETWIN® 125mm is ergonomically shaped for optimum handling comfort during operation. 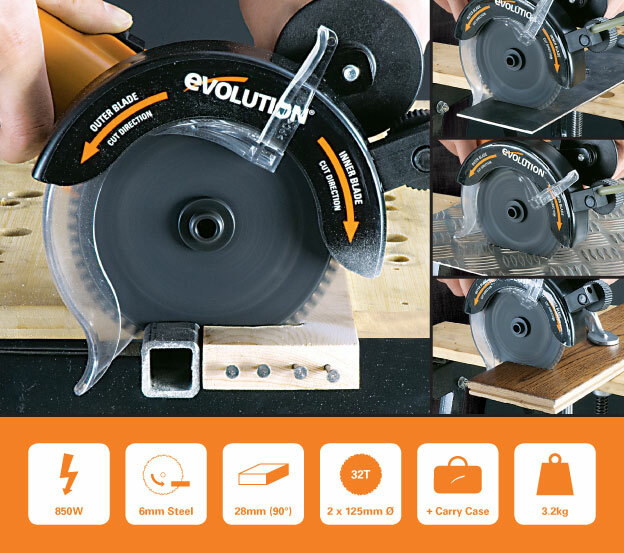 When you can buy a RAGETWIN125® multipurpose saw!